[lyke wake / noun / British] Definition of lyke wake in English: A night spent watching over a dead body, typically acting as a celebration to mark the passing of the person’s soul. ‘No, no, father, we can’t be cutting into that ham. That’s for the lyke wake’; Origin: Late Middle English, from lyke (from Old English līc ‘body’: compare with lychgate) and the noun wake [via]. 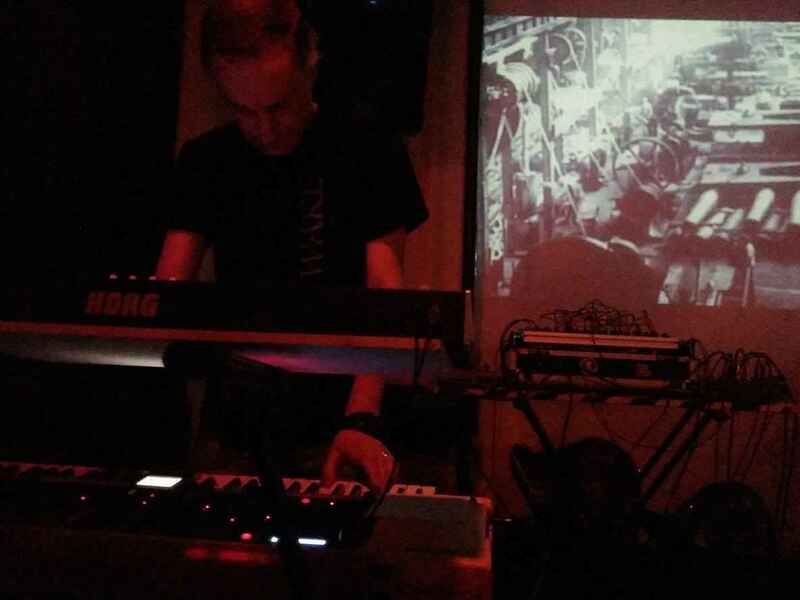 Lyke Wake, Rome-based Stefano di Serio’s moniker, started his musical activity in 1981, moving inside the huge realm of industrial and post-industrial music, including noise, esoteric / dark-ambient, and krautorock influences, with strong isolationist intents. During the 1980s decade he’d been releasing about ten albums on tape, a split LP together with the Nightmare Lodge band [Z.A.S., Minus Habens, Iusco, ..], two recorded live show, and also appeared on several comps both on tape and on vinyl. 1990 marked the sudden stop of the project, which had been recently resumed in 2010, exactly 20 years later. In the seven following years, Lyke Wake kept on publishing well-conceived records such as Mother II on Joy de Vivre, ‘Mother Will Take Me To The Sky’, ‘The Black Light’, ‘The Dark After Dark’, and ‘Fall of the Corrupt’ ‎on his own outcome Aseptic Noise, The Hatred Of A Thousand Years and a split with Giovanni Mori / LCB on Francesco Perizzolo‘s SoundScape 713, ‘Let The Suffering Grow Inside‘ [ANGST, 2014], ‘Fall of The Corrupt’ , ‘Testament of Pain’  and much more. The Final Muzik label also repressed on CD the legendary ‘The Long Last Dream’ tape, recorded back in 1987. His renewed musical production coupled with Lyke Wake hitting the stage back on important occasions such as Destination Morgue industrial music festival 2013. His most recent works are available both on CD and as MP3, for free [for more informations, check the official website].